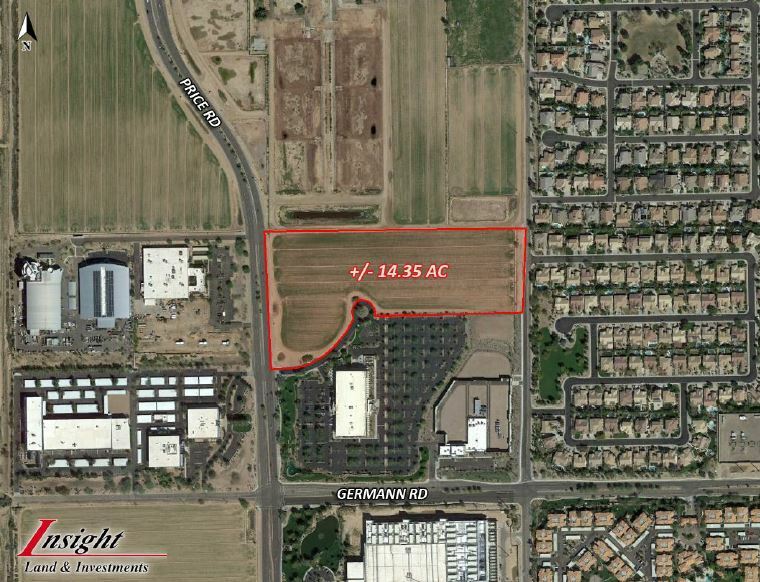 One of the preeminent parcels remaining along the prestigious Price Road Corridor in Chandler. The Price Corridor is home to approximately 90 businesses including Intel Corp, Ebay/PayPal, Amkor Technology Inc, Orbital Sciences, AmeriCredit, CyrusOne among others. The area is home to 9.7 million sq/ft of office and industrial space and 35,000 jobs – about one-quarter of the city’s total employment. LOCATION: North of NEC Corner of Price Rd & Germann Rd in Chandler, AZ.